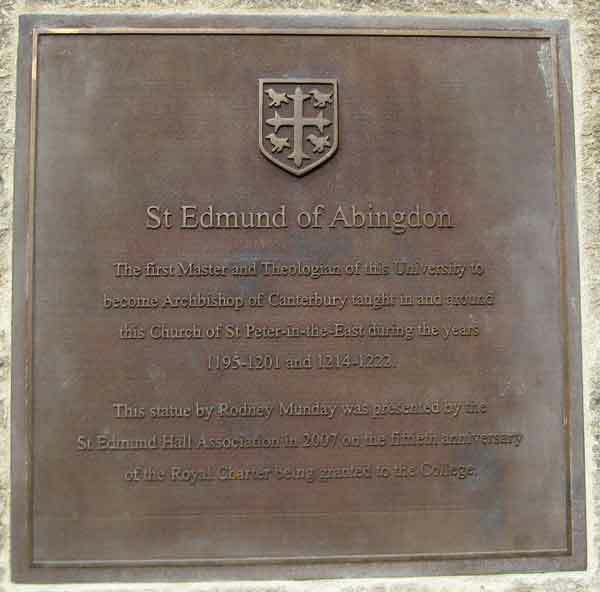 The first Master and Theologian of the University to become Archbishop of Canterbury taught in and around this Church of St Peter-in-the-East during the years 1195–1201 and 1214–1222. 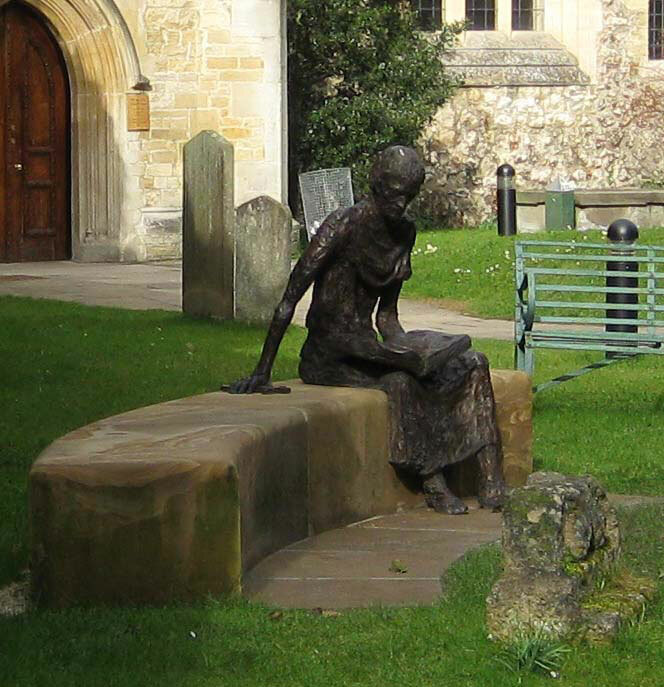 This statue by Rodney Munday was presented by the St Edmund Hall Association in 2007 on the fiftieth anniversary of the Royal Charter being granted to the College. The statue to which the inscription refers is shown below. The church is now the library of St Edmund Hall, but the statue of St Edmund can be seen from Queen's Lane without entering the college. The photograph on the right was taken through the bars of the locked gate.